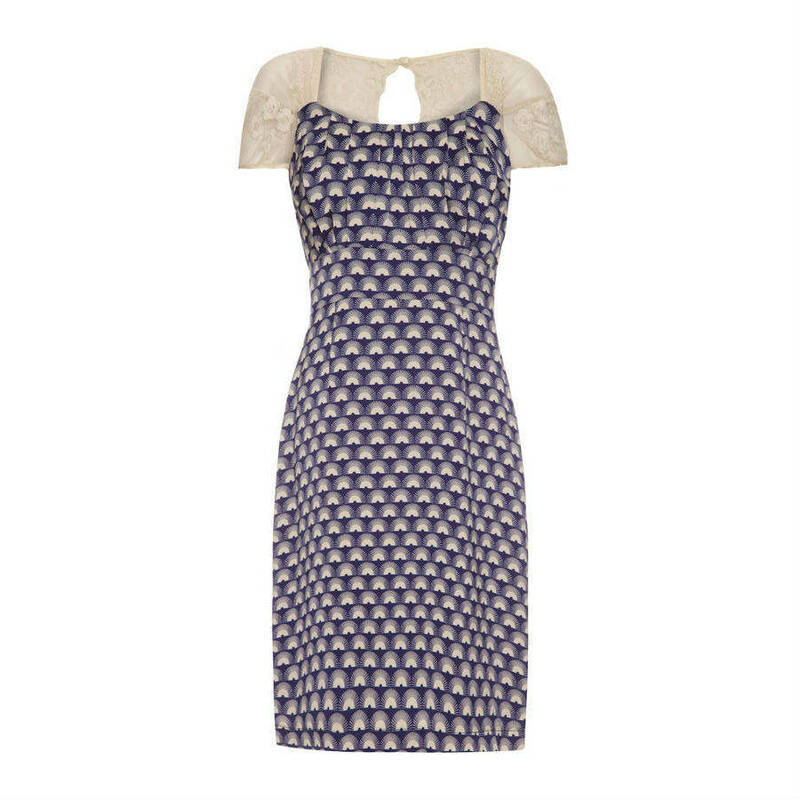 The Alessia is a tried-and-tested Nancy Mac dress pattern shown here in a winning combination of French navy fan crepe trimmed with ivory lace. 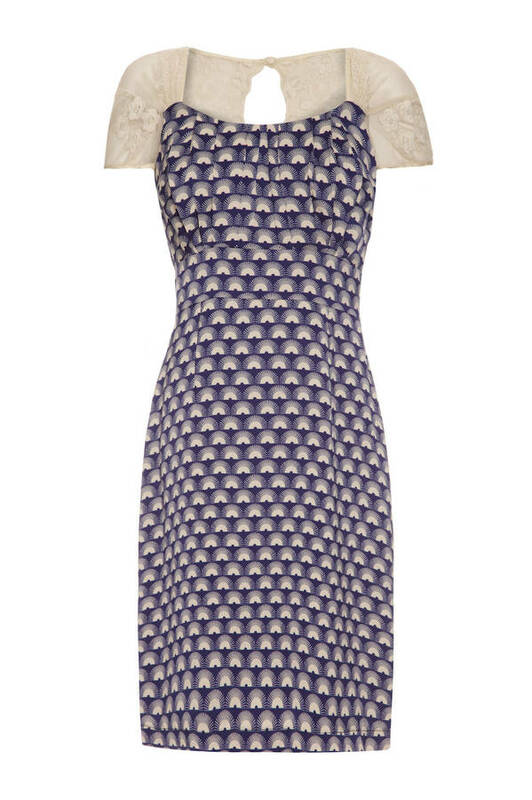 Timeless shift dress with embroidered lace detailing on back bodice and capped sleeves. 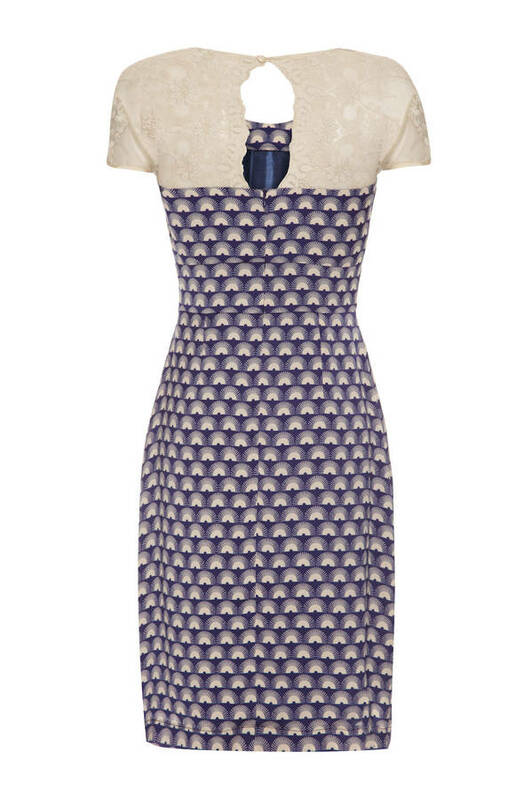 Gently fitted at the waist with a flattering straight skirt, fully lined and cut to fall just below the knee. The softly pleated bodice gives the Alessia dress a great bust shape and the dress looks lovely worn with our coordinating ivory Madeline lace jacket. 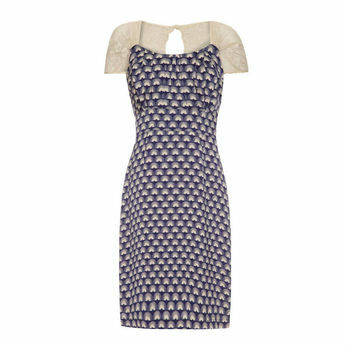 The Alessia dress in also available in duck egg rambling rose and blue polka dot silk cotton. Silk viscose crepe with cotton lace trim Dry clean only.